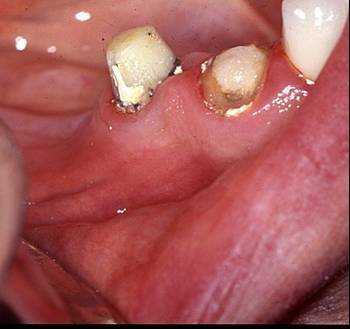 In this case, the patient had extensive dental decay. As a result, the teeth are very short--you can barely seen any real tooth structure! Crowns placed in this situation would not be able to stay on, resulting in numerous trips to have them re-cemented. 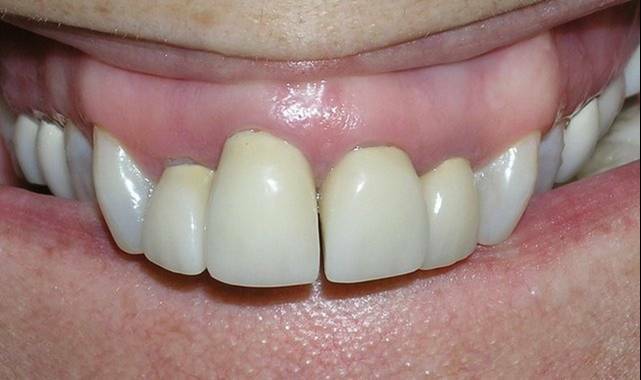 Utimately, the only way to save teeth like these is through crown lengthening. 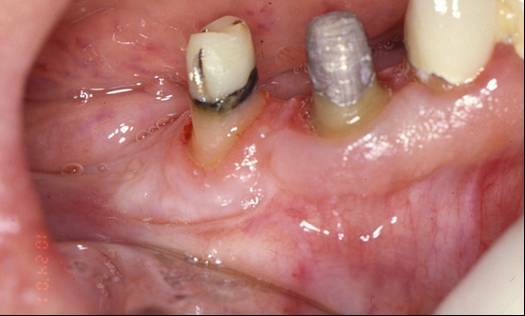 In addition, a gum graft was placed to improve the long-term strength and health of the teeth. 4 weeks later, the teeth are longer, healthier and are nearly ready to have impressions for crowns. People generally return to see their dentist for the crowns at least two months after crown lengthening. The person in this photograph presented with a concern to improve her smile. A consultation was performed and we worked with the patient's dentist to develop a treatment plan. The gum line was altered through crown lengthening (gum lift) and gum grafts to create a symmetrical and harmonius smile line. The patients general dentist put the final package together with new crowns and the final result is a beautiful smile. 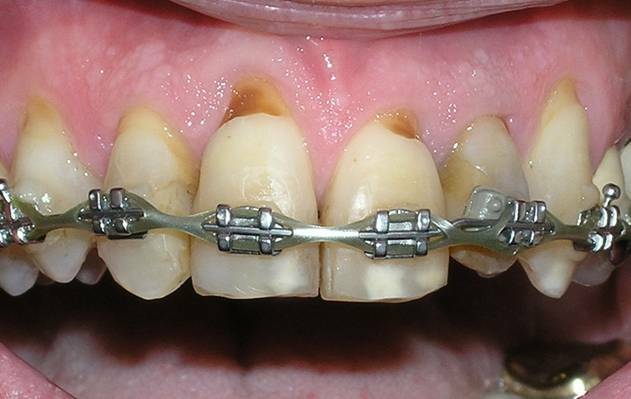 Example: Another combination procedure and braces (orthodontics) was used to transform this smile. 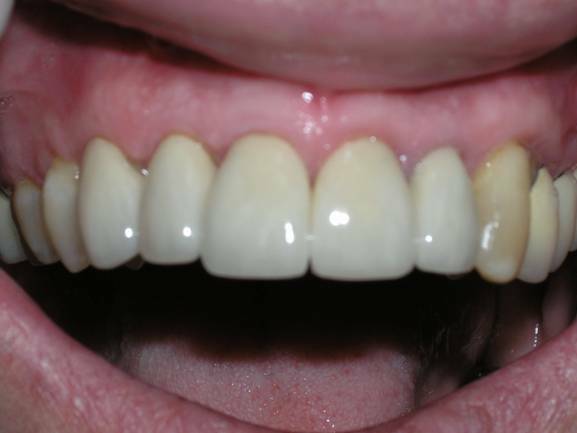 This patient also presented with concerns to improve his smile. In working with his general dentist and orthodontist, a plan to use crown lengthening and gum grafts to improve symmetry and oral health was put into action. The general dentist placed new crowns to help transform the smile. 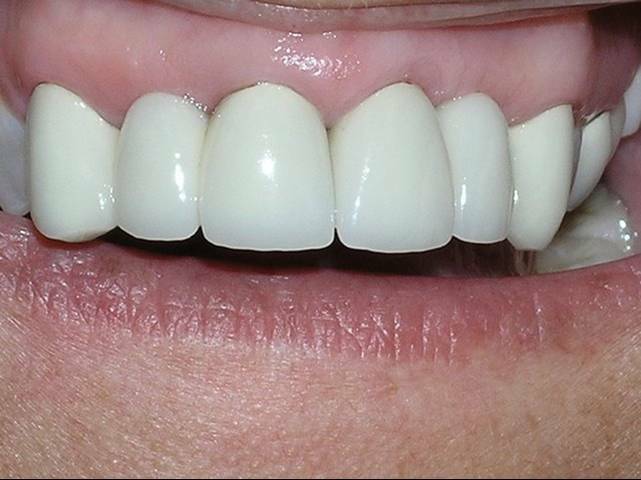 These crowns were placed about 3 months following the periodontal combination procedures. The gum grafting covered the exposed roots and strengthened the gum line for decades to come. The general dentist was able to place normal length crowns versus having long and unsightly crowns.